Will the government take away money from disabled people on a hunch? 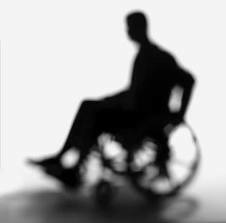 The coalition is cutting support to people with disabilities without having piloted changes. Are ministers willing to hurt the most vulnerable on a hunch? The Lords will be debating crucial measures affecting disabled people in the government’s welfare reform bill this afternoon. Government is aiming to reduce the working age Disability Living Allowance caseload by an extraordinary half a million by 2015/16, in accordance with a target hastily set within weeks of the coalition coming to power in the June 2010 budget. After last week’s hat-trick of defeats for the government on the bill, we can expect intense media interest and a lot of strong-arming by Conservative and Liberal Democrat whips. Cross-bench peers and bishops, who delivered the trio of defeats last week, will be crucial to the outcome of today’s debate. The government’s aim is to abolish DLA, which helps people meet the additional costs they face because of severe disability and was originally introduced by the Conservatives in 1992. DLA will be replaced with a new benefit, called Personal Indepence Payment and intended to support far fewer people. One of the key amendments (amendment 50e) proposed by cross-bench peers aims to ensure that the assessment for the new benefit is not implemented until it has been properly trialled and independently reviewed. Forget about whether the government suffers another defeat in the Lords: amendment 50e is a sensible attempt to prevent history repeating itself, and government would be well-advised to avoid a vote and agree it without demur. For there is already a precedent, and not a promising one-, for a government adopting top-down caseload reduction targets and then designing an assessment system intended to lead to those reductions. This was the Work Capability Assessment (WCA) which Labour introduced for claimants of Employment Support Allowance (ESA) in 2008. This has proved to be one of the more unambiguous welfare policy disasters of recent years: The lessons from WCA need to be learnt- and Labour’s support for amendment 50e suggests that it, at least, have learned them. The WCA debacle dates back to the closing years of the Blair period. Ministers such as John Hutton made clear their aspiration to reducing the caseload for sickness and disability benefits (ESA and its predecessor Incapacity Benefit) by one million. At the time it was all to clear to Whitehall insiders that this aspiration was grounded in hunches and intuition about claimants rather than any serious consideration of the evidence. The WCA was introduced in October 2008 and within a few months seemed to be giving ministers what they wanted: only 9%-10% of new claims were given unconditional ESA support, and some 67% were being found fit for work. But the success rate for appeals against WCA decisions was an alarming 40%, and even higher for claimants who had advocacy support: disability charities and activists were scathing in their criticism. Clearly something was wrong, and after the election the new government appointed Sir Malcolm Harrington to review the operation of the assessment. Harrington’s first report, published in November 2010, while by no means signing up for all the criticisms of WCA voiced by disability organisations, nonetheless found serious problems in the assessment and made a series of recommendations, most of which were implemented over the next year. Data for WCA decisions only runs up to May 2011, but even so it shows a remarkable shift in the outcomes over time. For completed initial assessments, summarised in the table below, the proportion found fit for work was declining even before Harrington’s first report was published, falling by some 10 percentage points since October 2009. And the percentage of claimants being placed in the ESA support group – those who are not expected to seek work because of the severity of their condition – went from 11% in October 2010 (just before publication of the review) to 16% by May 2011. One of the results is that DWP has been obliged to revise up its projected expenditure on ESA by £1bn (about 10%), as revealed by the Office for Budgetary Responsiblity in November. In its original contract with Atos Healthcare to deliver the WCA assessment, DWP had specified that it expected about 11% of ESA claimants to go into the support group. Contract between DWP and Atos Healthcare, Request for Proposal, section 2.2.2: Appendix 8 shows DWP’s modelling of the caseload, including the 11% estimate for the support group. This is what the WCA process was delivering until Harrington’s review. Given the major changes since the review, it now seems very likely that the expectations incorporated in the contract had a significant impact on the outcomes for claimants. The implication is that thousands of ESA claimants have been wrongly denied unconditional support since October 2008 due to faulty assumptions about the number of claimants with serious work-limiting conditions on the part of DWP ministers and officials, embedded in the assessment process and the contract with Atos healthcare. This interpretation is supported by the high rate of successful WCA appeals. Ministers decided that the caseload had to be reduced by a certain amount and the reform process was driven by this top-down target. This turned out to be a recipe for policy failure on a grand scale, causing unnecessary difficulties for claimants without delivering the ambitious caseload reductions which ministers expected. Compare the government’s proposals for DLA reform: the pattern is identical. Hunches and intuition rather than consideration of evidence underpin absurd top-down caseload targets: nobody who had looked at the evidence could seriously believe that 500,000 disable people can be refused DLA support without causing serious hardship. Having set the target the government then commissioned a new assessment process to deliver them. Evidence-based objections from disability organisations were ignored. This is all too familiar. Amendment 50e, whether it is agreed by government or imposed by cross-benchers and opposition peers, would go a long way to preventing a repeat of the sorry history of WCA. The significance of today’s debate in the Lords goes well beyond any temporary embarrassment for government: It concerns the future of a system of support for disabled people living independently which has long enjoyed firm support across political parties. Let’s hope peers succeed in getting this message across this afternoon. nal costs they face because of severe disability and was originally introduced by the Conservatives in 1992. DLA will be replaced with a new benefit, called Personal Indepence Payment and intended to support far fewer people. Quite right too. 1 million before Thatcher. 2.5 million on disability after Brown. Governments have been committing fraud on a massive scale to hide unemployment, or the NHS is a major disaster. Take your pick. “by one million.” – Another 0.5 million on top, and you are getting there. “This interpretation is supported by the high rate of successful WCA appeals.” No its not. That’s a failure in intellect on your side. If those on disability have disabilities ranked, from 1 (not disabled) to 100 (completely disabled). If the threshold is set at 50, then you will get people denied benefit because they don’t meet the legal criteria. Some of those people have varying conditions, and so if retested, they will get in. Nothing surprising. However, you are only going to get people ranked 45-49 appealing. Those below won’t win and give up. Those above 50 don’t appeal. So arguments about high proportions winning appeals implying that the assessment is wrong is baloney. It’s spin, because you are using the wrong denominator. You appear to be confusing DLA with an out-of-work benefit. You also appear to be fudging the facts about the benefit you are confusing DLA for. Confusing? No, he understands. It’s a typical attack on the disabled.